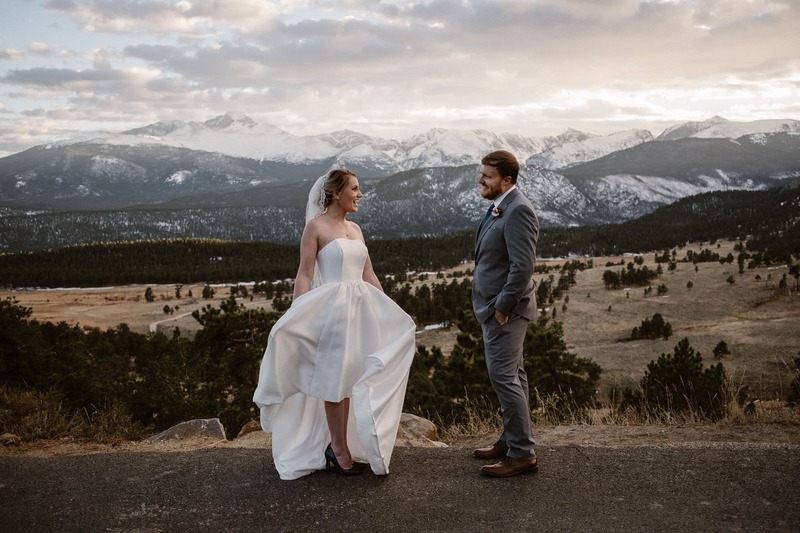 When Juanita and Will first reached out to me, they knew they wanted to get married in Rocky Mountain National Park. 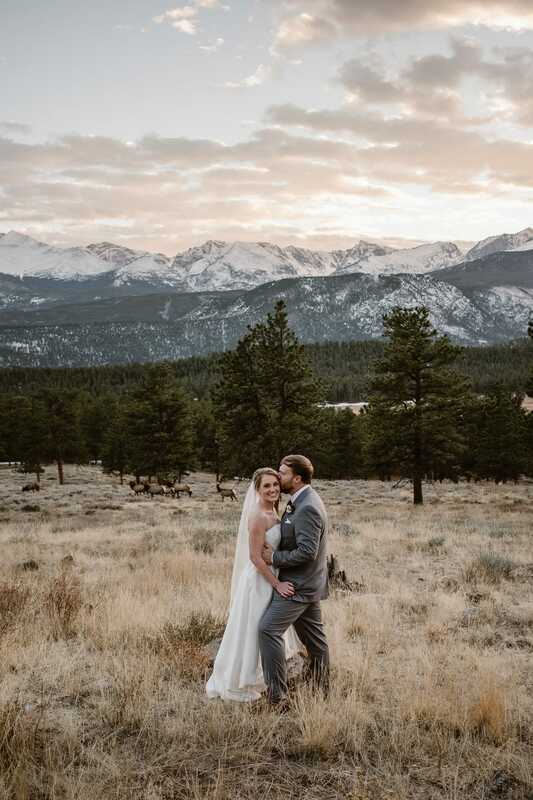 I helped them go through the different wedding locations in the park via email, and they decided on a 3M Curve elopement. 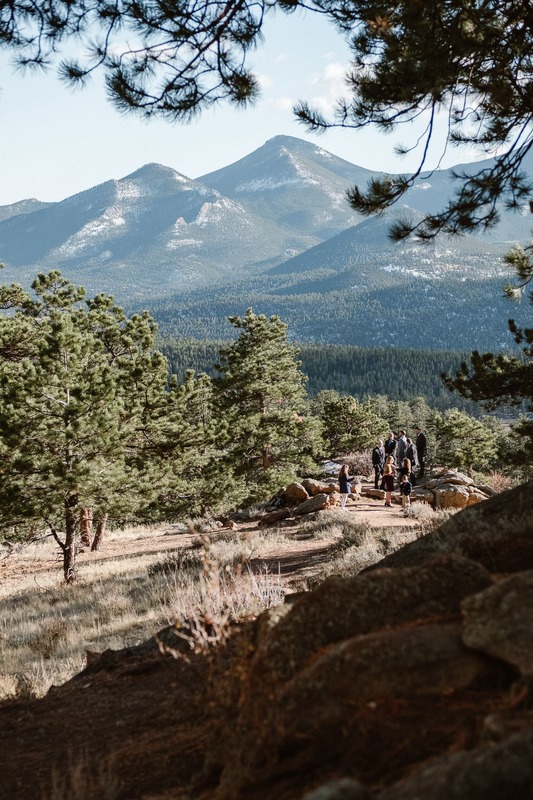 Planning an elopement from a different state can be super stressful, especially when you haven’t seen the ceremony site in person. 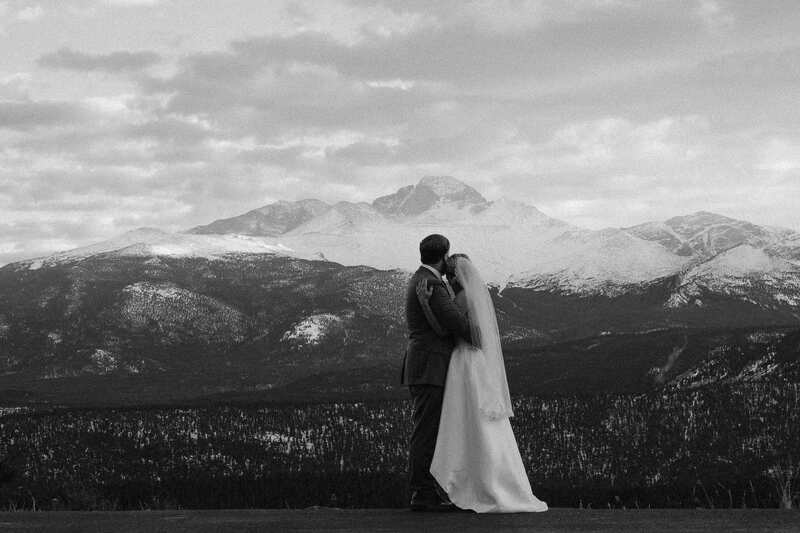 Juanita and Will live in New Orleans, but knew they wanted to get married in the Colorado mountains. 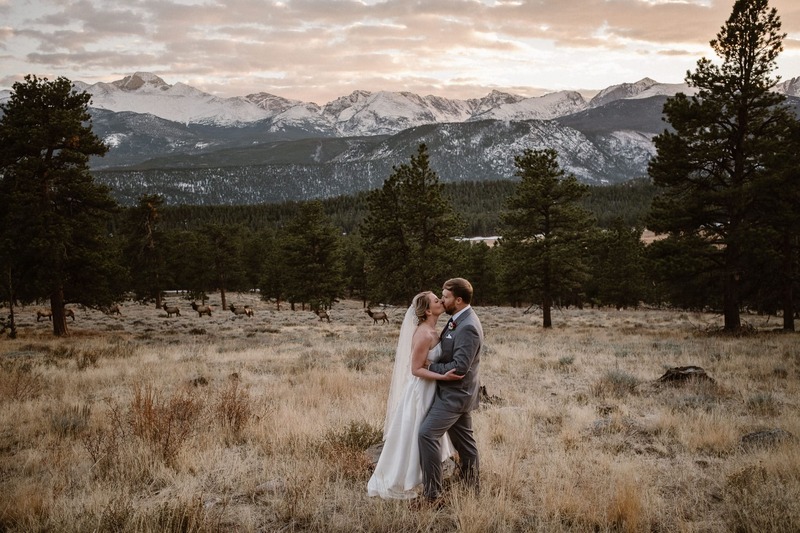 The 3M Curve elopement site just so happens to be my favorite of the official wedding ceremony locations in Rocky Mountain National Park, both from a photography standpoint and for the epic views that always WOW my couples. 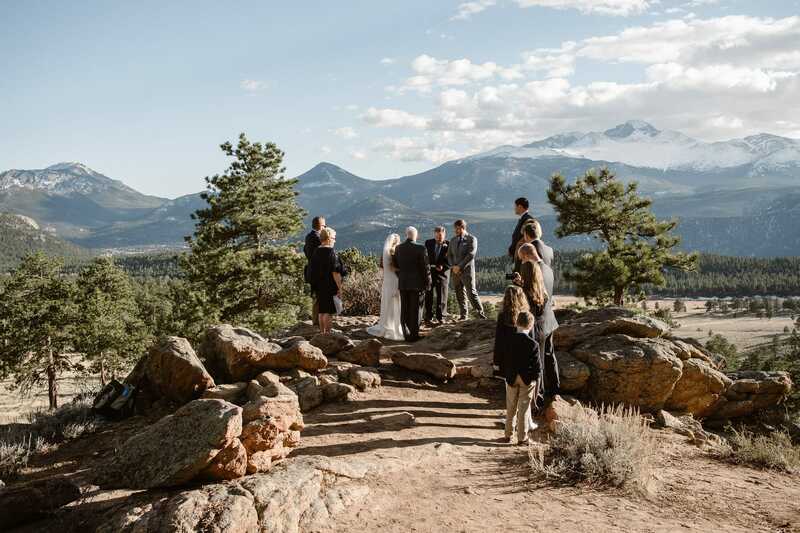 Juanita and Will had invited their closest family to be there for their ceremony, and their friend Todd was officiating. 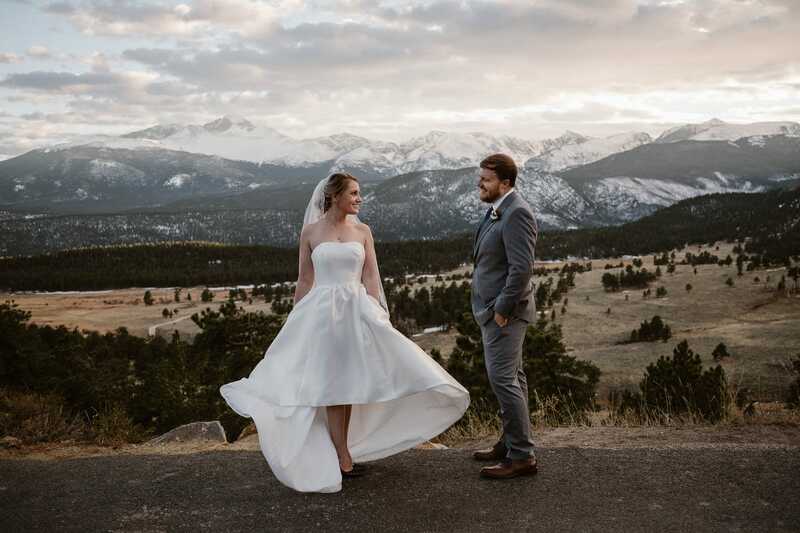 And I think every one of their guests realized why they had flown all this way when they saw those views of Longs Peak! 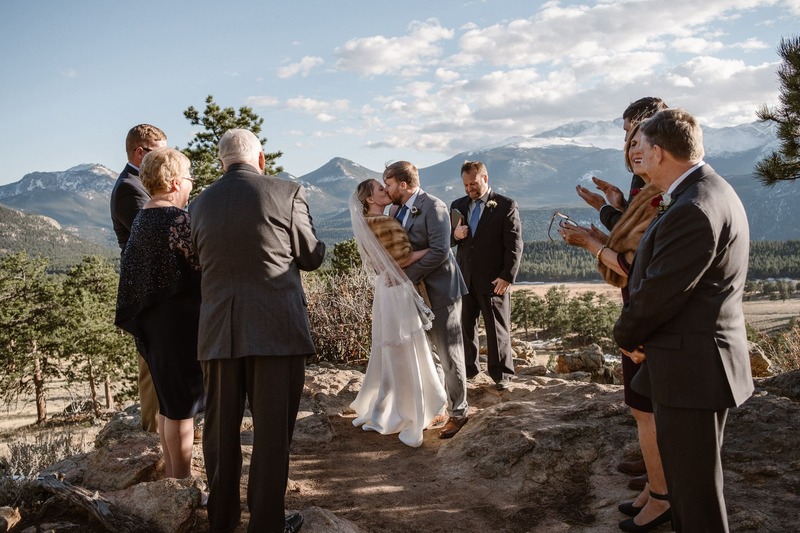 After Juanita and Will’s 3M Curve elopement ceremony, the family popped some bottles of champagne and shared some sweet toasts with the couple. 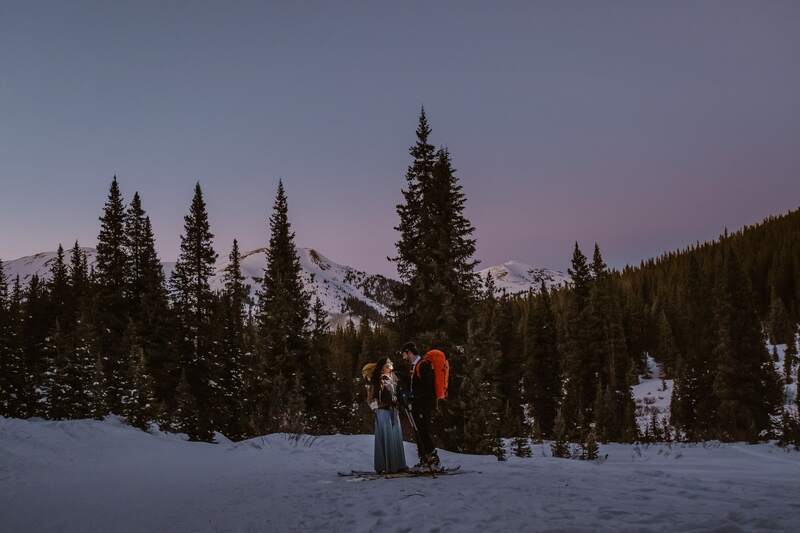 Then the family headed down to Estes Park, while the couple and I stayed behind to do couples portraits at sunset. There are some really epic rock formations in this area, and lucky for me Juanita was totally down for climbing some of them – in high heels! 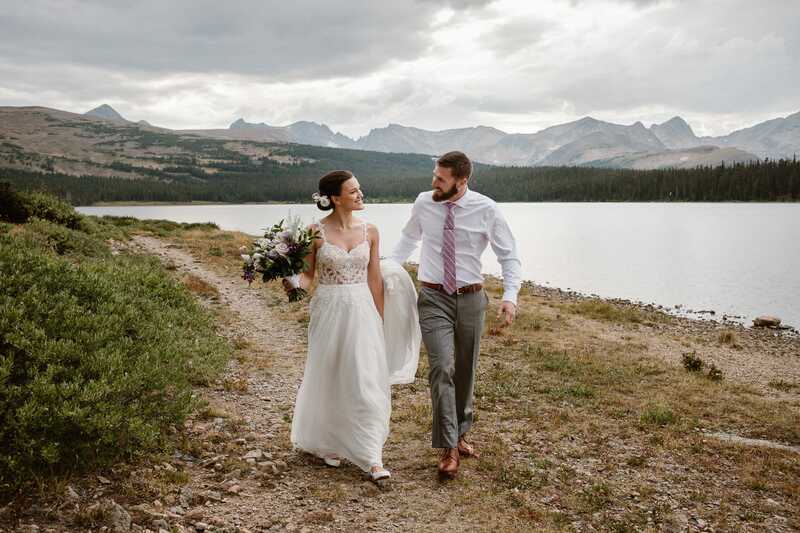 If you’re planning a 3M Curve elopement, or want to see my photos from every single Rocky Mountain National Park ceremony location (like this Sprague Lake winter elopement), check out my Rocky Mountain National Park wedding guide!